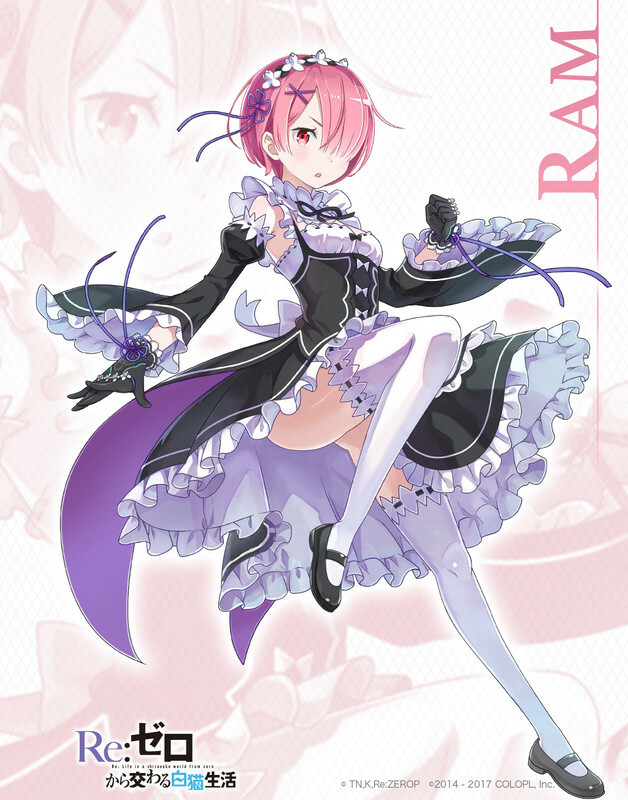 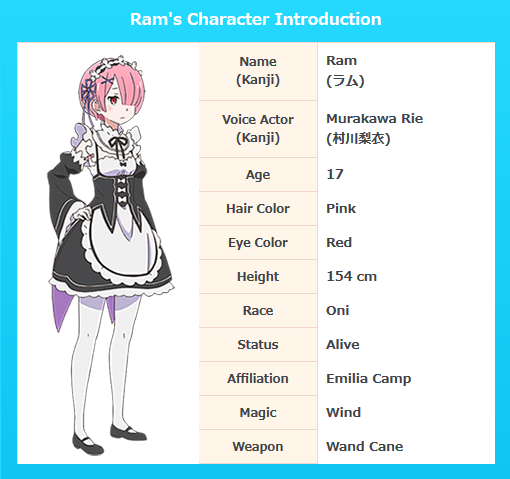 Ram has medium length pink hair that covers her left eye, large red eyes, and young features. 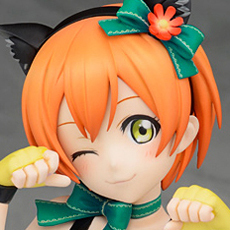 She is nearly identical to her younger sister except that her eyes slant upward slightly and has a smaller chest. 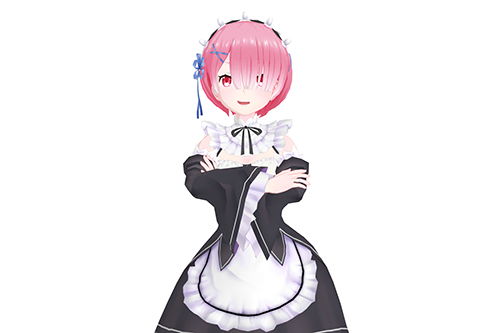 She usually wears a maid uniform which she wears neatly.